Many people do not notice the effect EMF Radiation has on them. They are unaware of its impact and do not struggle with symptoms from exposure. But for those with EHS – Electromagnetic Hypersensitivity – dealing with the symptoms caused by EMF is a daily struggle. Even if you don’t feel the effects of EMF, it does not mean that it isn’t taking a toll on your body. Thankfully, there are a number of ways to combat the radiation and the heath risks from negative energies. 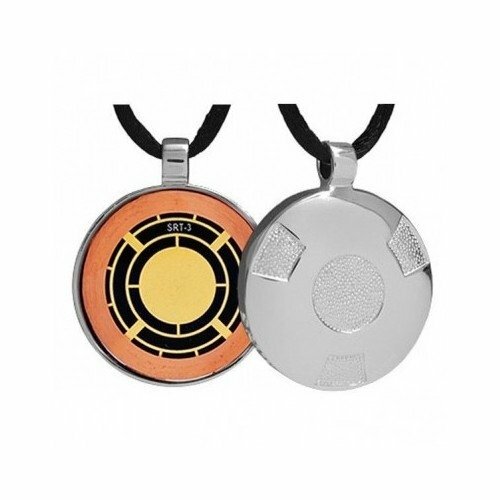 And one of the first barriers that provide many people relief is with a high-quality EMF Protection Pendant. Does EMF Protection Jewelry Work? 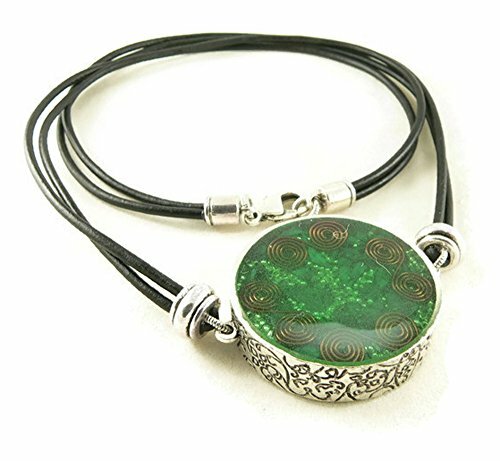 This is a difficult question to answer, because it is equivalent to asking “Does medicine work?” – there are so many different types and styles of pendants, necklaces, and bracelets on the market that utilize different methods and materials to combat EMF that a blanket answer that covers all of them isn’t possible. The simple answer to the question is “Yes, EMF Protection Jewelry can protect you from EMF radiation.“. But not all EMF pendants and necklaces are created equal. There are some obvious fake EMF protection products out there, and then a range of protective technologies employed by the rest. That means that a better question would be “How well does a specific piece of jewelry protect from harmful EMF radiation?” And that can be examined by looking at what types and quantities of materials are used in a particular pendant or bracelet. 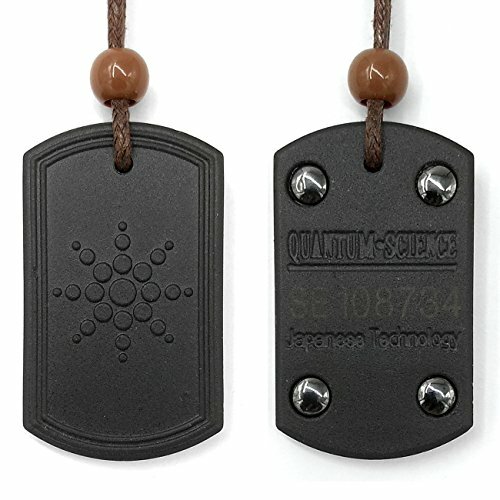 Shungite – Shungite is one of the leading materials used in the manufacture of EMF protection jewelry. Shungite is unique mineral that comes from the Karelia area in Russia. What makes it unique is Shungite is made from hollow carbon molecules known as Fullerenes. These molecules are large and spheroidal in shape – literally a hollow cage of atoms – almost like nature’s faraday cages. These cages are believed to absorb EMF radiation. Tourmaline – Tourmaline is a unique crystal in that it has been tested to produce both positive and negative ions within a single crystal, and generate a very weak electrical charge. Rather than blocking EMF radiation, proponents of black tourmaline say the stone empowers your body’s own protective electrical field. Orgonite – Orgonite is a material produced by combining resin with different metals and quartz. Proponents of orgonite claim it gives off a weak energy (both positive and negative), and will harmonize and balance your body. They claim the output of orgonite will clean negative energy, and thereby protect your body from harmful EMF radiation. Biofield Tuning – According to some scientists, your biofield is a field of energy and information that both surrounds and also interpenetrates a person’s body. It is made up of a combination of electromagnetic energy that can be measured, along with subtle energies (sometimes called chi) that cannot. Proponents of biofield tuning say that it is a vital energy that both animates our body and powers our daily existence. They say that when our biofield becomes unbalanced through the daily stresses of life it negatively impacts your sense of well-being. Jewelry that tune your biofield are designed to harmonize that engergy – much like a tuning fork – and restore you to optimal function. Schumann Resonance Generation – Schumann resonances are the name of the resonant frequency of the Earth’s atmosphere. Humans are designed to live within that range of frequencies, but some feel that EMF radiation distorts that natural range, producing the symptoms that some suffer from EMF exposure. Shumann generators attempt to remedy that by generating those same frequencies at a very low level, combating the negative effects of EMF. Many of the necklaces we looked at use several of the materials above in their construction. The benefits of that practice is that if each helps attenuate some EMF radiation, when used in combination they should offer additional help. But since each individual pendant uses different quantities of elements that vary in purity and effectiveness, a definitively quantified answer about how much a particular piece blocks EMF is almost impossible to achieve. Because of those variables, along with differing levels of EMF sensitivity for each person, your best bet may be to try a few different pieces yourself, to see which ones help the most. If you have a smart meter (you can see our roundup of EMF meters) you can try to do some empirical testing of your own. But probably more useful would be to just try wearing them to see if they improve the way you feel. 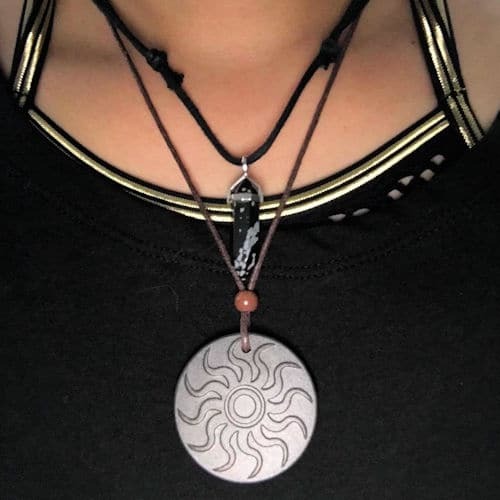 Thankfully, many of the EMF protective necklaces in our roundup are relatively inexpensive, so you won’t break your budget while searching for relief. Made of genuine I type elite shungite. Type I noble shungite contains up to 98% of carbon. It has deep grey color with shiny silvery surface. Attention! The pictures are shown for illustrative purposes only. We will send you the best item available. Feel free to ask for the pictures of the items available. SHUNGITE MIRACLE STONE SET: Includes 5 of the best-selling & most popular shungite pendants. 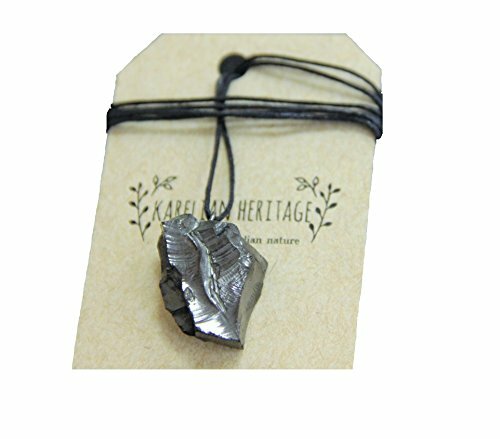 Large quality pieces made of 100% Authentic Karelian Shungite. 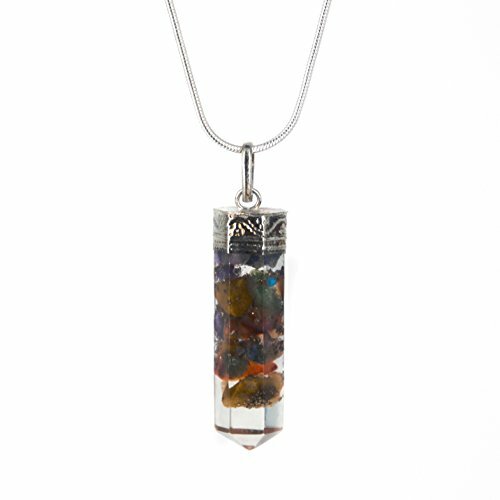 SPIRITUAL & EMOTIONAL HEALING: said to boost energy levels and relieve anxiety & stress. Meditating with shungite in each hand can be a very powerful healing experience. EMF & HARMFUL RADIATION: In today's society it is impossible to avoid potentially harmful Electromagnetic Fields. 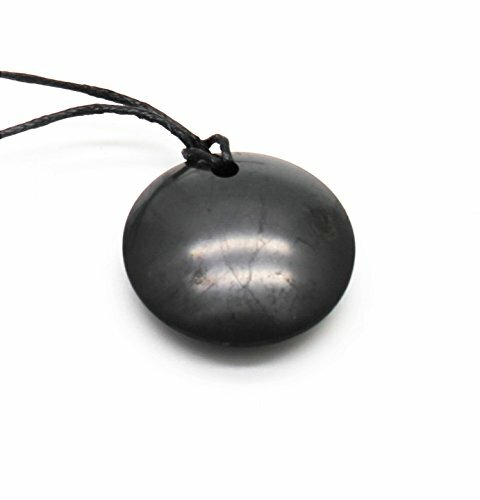 Shungite can be used to block or diminish EMFs. 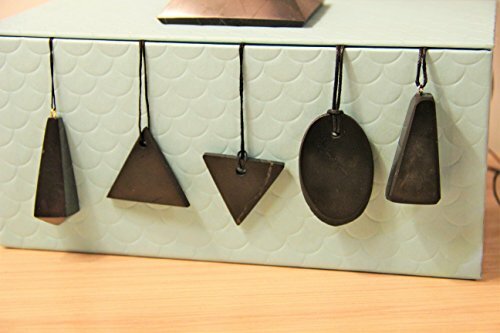 Pendants, mobile phone stickets, pyramids and other shapes are commonly used for this purpose. CHAKRA BALANCING - Wearing a shungite pendant over the heart chakra is the most effective as it is the most receptive chakra. The balancing is very powerful as emotions & thoughts causing pain will come up which leads us to examine them. 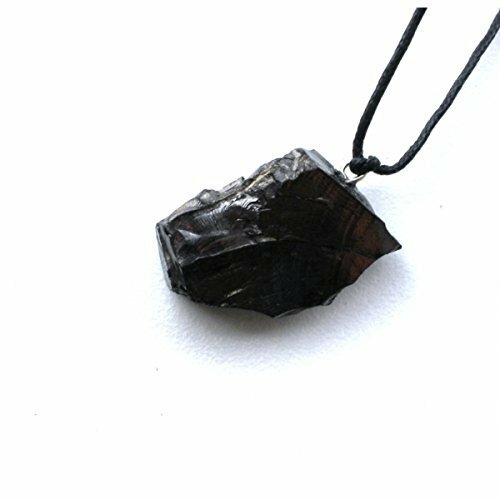 Shungite neutralizes energy from a blocked or over-active chakra. A miracle stone Shungitehas an age of about 2 billion years. Shungite has strong healing qualities, it treats, saves, cleans, heals, protects and normalizes your organism. Diameter 30 mm. Thickness of 4 mm. Weight: 5 g.
Made of polished III type regular shungite. Type III shungite contains up to 50% of carbon. It has deep gray or black color, small pyrite infusions are possible. Shungite collectible figurines are known for being a powerful shield against EMF radiation, geopathic stress and any other forms of negative influence. Lotus Flower is symbolic of purity of the body, speech, and mind. Is also considered as a symbol of spiritual enlightenment and the expansion of one's soul. Depiction of the lotus lends itself as the seven chakras, or centers of spiritual power of the human body. Pendant Lotus Flower supercharge your energy to it's highest vibration. Perfectly executed cutting of shungite stone. This modern masterful design looks awesome. We know you want to keep the vibes good and we assure you that this beautiful a work of art is made by our masters in Karelia. 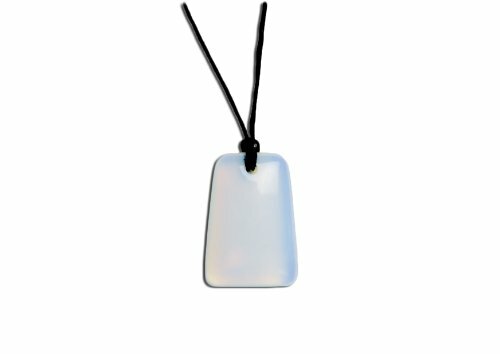 Pendant polished with adjustable durable smooth braided cord. Allow to Wear at Different Lengths and Easy to Get off. Which is More Convenient for Daily Life. Pendant Size: 1.4" inch / 35 mm; Cord is Adjustable ~ 16-32 inch. With exact precision design in the form of Heart, made by machine cut , and packaged in Karelia, Russia. The product is certified. We package your symbols with recyclable and/or biodegradable packaging. Wallystone Gems - A premium brand of shungites stones you know and trust. 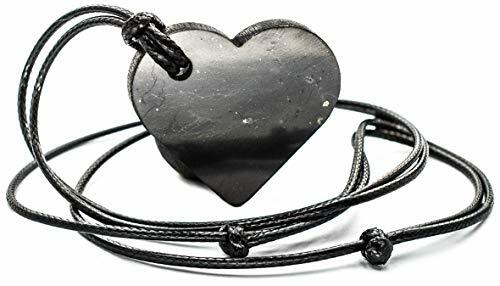 Natural pendant from shungite, in the shape of a heart. Heart (symbol) - center of emotion, includes affection and love. The perfect gift for the expression of love, friendship and solidarity. Made of polished III type regular shungite. Type III shungite contains up to 50% of carbon. It has deep grey or black color. SHUNGITE ENERGY directly from the Republic of Karelia, Russia at affordable prices. Genuine mineral and finest quality from a producer. 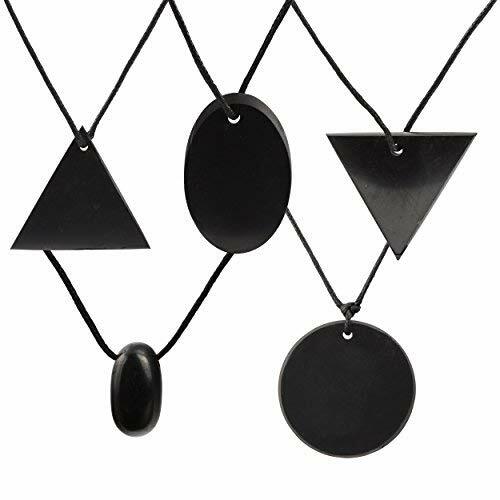 Energy pendants made of shungite are trendy accessories in a collection of a modern person having a healthy lifestyle. 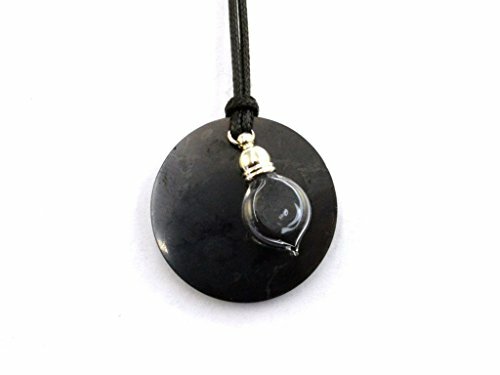 Energy pendants made of shungite are trendy accessories in a collection of a modern person having a healthy lifestyle. 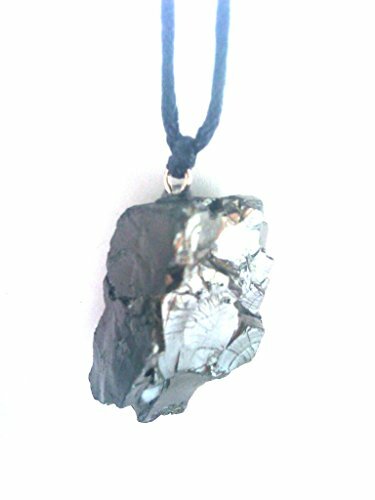 Karelia Shungite Pendant. EMF Protection Stone. Genuine Shungite and Highest Quality Guarantee. 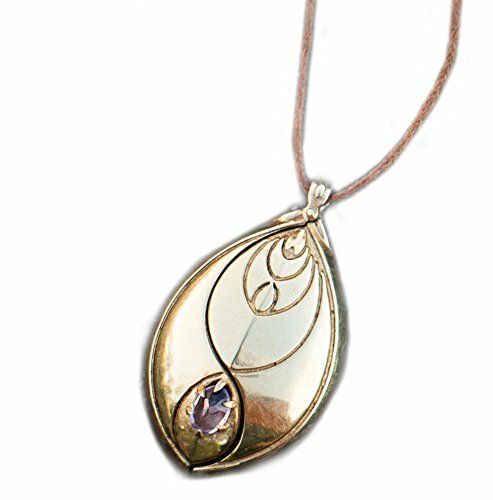 FASHIONABLE SELF-CONFIDENCE BOOSTER - empowering pendant, strengthen the body's biofield, increase physical vitality throughout your day. Enhances the body's natural defenses against the damaging radiation coming from all EMF devices. STRESS RELIEVER AND CALMNESS INDUCER - highly useful in purifying and neutralizing one's own negative thoughts and internal conflicts, and turning them into positive, usable energy. Use in your Crystal Healing, Chakra Balance or Meditation Sessions. Wear or carry in a purse or pocket. 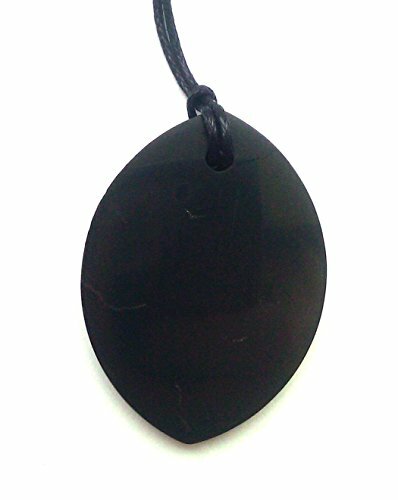 POWERFUL PROTECTION STONE - Classified as a semi-precious stone -Black Tourmaline is revered as a premier talisman of protection, and guards against radiation and environmental pollutants Powerful EMF radiation protection shield. 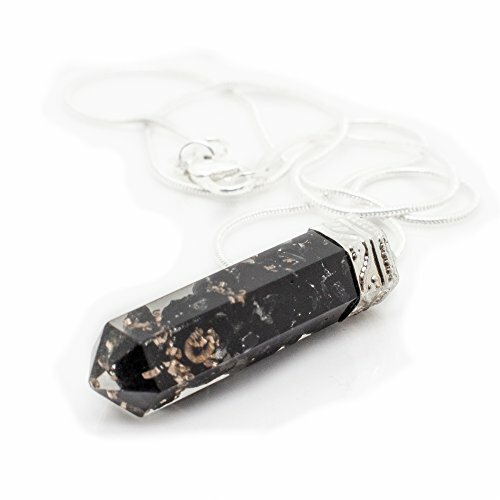 NATURAL REMEDY IMPROVES YOUR WELL-BEING - As a negative ion generator with Japanese volcanic lava and black tourmaline, powerful grounding stone, electrical in nature, provides a connection between Earth and the human spirit. Produces Far Infrared Radiation. Helps support circulation. 100% CUSTOMER SATISFACTION - LIFETIME GUARANTEE: We Love Our Customers! If For Any Reason You're Unhappy With Our Products, We'll Provide A Full Refund. 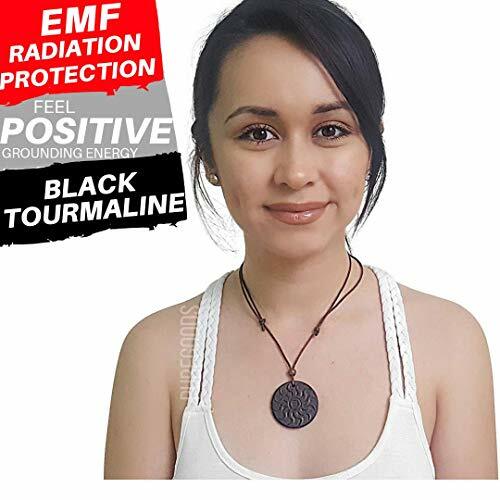 12 HOUR EVENT DEAL, normally 50.00 ----> NOW 11.77PROTECT IN STYLE - Our black tourmaline pendant protects the body's biofield from electronic radiation. It increases health, vitality, and overall wellness when worn or close by. A natural earthing solution that shields against radiation from all EMF devices. FEEL NATURAL RELIEF AND CALM - Feel an increase of positive energy and vibrations. Use for crystal healing, chakra balance, and meditation. POWERFUL PRECIOUS STONE - Black tourmaline is a scientifically proven classified precious stone that guards against radiation and environmental pollution. Wear on your neck or keep in your purse or pocket. To feel its benefits keep it always close by. 100% SATISFACTION GUARANTEED - LIFETIME WARRANTY - We accept 100% refund or exchange no questions asked. 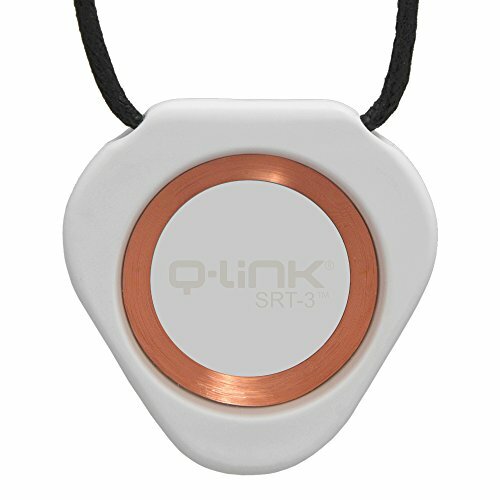 Q-Link SRT3 Is Circular Sterling Silver Polished Classic Pendant, Holistic Jewelry That Offers EMF Protection. 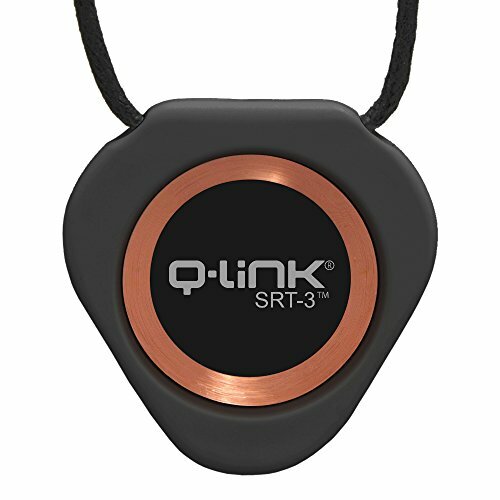 Qlink Q.Link Q links Is a well Known electromagnetic chaos eliminator. Q-link works by balancing out the body's energetic fields. 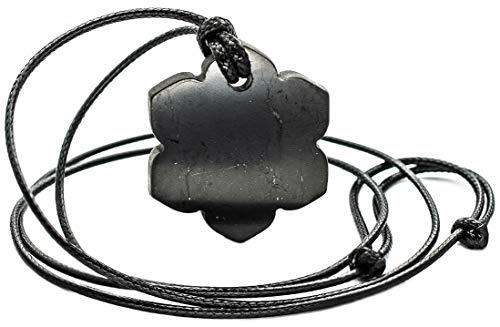 Beautiful Hexagonal Bullet Shape Pendant- 2" x 1.5", with Quality Silver Plated 18" Chain and an adjustable 16"-24" black leather cord. Makes a perfect Valentine's day gift! Free Ebook - on the history of orgonite and the many different ways it can benefit you. 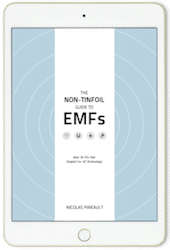 EMF PROTECTION - Protect against electro pollution from cell phones and devices emitting electromagnetic frequencies (EMF) and electromagnetic radiation (EMR). EMF BLOCKER - Chi-O Phi shows beneficial effects, supporting the body to balance itself and enter a more natural state, almost like the one have been exposed to an EMF free environment. SCHUMANN RESONANCE GENERATOR- The circuitry within the Chi-O is composed of a frequency generator that produces a range of different frequencies found in the natural world, including this Schumann Resonance. ACTIVE SCALAR AMPLIFIER- Our Chi Organizer products all use an active scalar amplifier circuit that enhances your Chi energy, even if you are at your lowest, giving you the boost when you need it most. 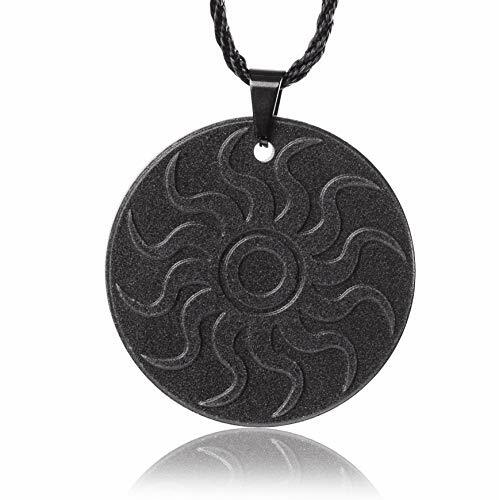 COMPOUND LAVA STONE PENDANT: This amazing energy balance pendant is created by recombining the particles of volcanic minerals into an energy-charged compound material designed to be active and potent for more than 50 years Please pay attention to the brand and packaging. The genuine products are only provided by XCHR and are not authorized to be sold by any other agents and stores. Just by wearing or carrying this pendant in your pocket, will slowly begin to feel the effects of its protective shield, which enhances the body's natural defenses against the damaging radiation coming from cellphones, WiFi routers and other household appliances. Reduced pain & headaches.Enhanced mental p. Improved mood & overall well-being. Release the pressure to enhance the body's natural defenses against the destructive radiation from all emf devices, and natural remedies improve your health. Promote the flexibility of the body, strengthen the human biological energy field, the peace and quiet effect. USERS REPORT: Increased energy and stamina | Reduced pain & headaches. Enhanced mental performance & productivity | Improved mood & overall well-being. Provides an overall field diameter of 6-ft, with a stronger 3-ft inner field. Dimensions: 1-1/2" L x 1" W | Natural Hemp Cording | Instructions Included | Item is exactly as pictured. 100% Money Back Guarantee | Contact Seller HGID directly for technical & return issues. EMF From WiFi Routers – What Is A Safe Distance? Copyright © 2018, EMF-Risks.com. All rights reserved.